Please post honest reviews on Goodreads and Amazon. Bev specialized in serving executives and managers as a leadership coach and organizational consultant for over thirty-five years. She taught organization psychology and founded "The 3rd Act," a program whose mission supports positive aging. As she grew into her own third act, she started a genealogical journey to uncover the details of her grandparents’ lives. She concluded that the story needed to be told as fiction using the known facts as her framework. "Sarah’s Secret: A Western Tale of Betrayal and Forgiveness," Bev’s debut novel, is the culmination of her long-held desire tell the family story and confirm the whispered story about her grandfather. 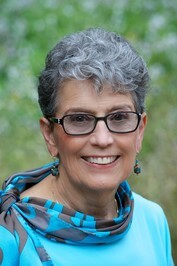 Bev previously focused on publishing non-fiction work, including the second edition of "Consulting on the Inside," which she co-authored with Kim Barnes, published in 2011. She has written numerous professional articles and contributed to "70 Things to Do When You Turn 70" edited by Ronnie Sellers and Mark Chimsky. Bev blogs on several sites, including her own, “The Writing Life” on www.bevscott.com. To ask Beverly Scott questions, please sign up. Beverly Scott Read, read, read! Especially read in your desired genre. Yes, it is hard to find the time to read when you barely have time to write. Also, read books…moreRead, read, read! Especially read in your desired genre. Yes, it is hard to find the time to read when you barely have time to write. Also, read books on writing by successful writers and by writing teachers. Join or form a writer's group that meets regularly where you can get honest and constructive feedback on your writing. My writing group was incredibly helpful to me with ideas and suggestions when I was stuck with the plot. If your budget is limited, this is a great way to exchange feedback with other writers at very little cost. Another lower cost learning opportunity is to join a writing community or organization for writers. If your budget permits, attend writing workshops, retreats and conferences to learn from accomplished writers and experts. Finally, follow blogs of writers and experts who offer advice and guidance on the many aspects of writing and publishing. Be careful here though. Many of them are selling something. Make sure it will be helpful to you. Bev, Sarah's Secret sounds like the process I just took writing my debut novel. It started as memoir but I felt it needed to be told as fiction "using the known facts as my framework" (borrowing on your description!). My novel will be published in fall 2019. Over the next year I'll be working with my publisher and editor for a journey I never planned on. Can you tell me about your program "The 3rd Act"? Beverly Scott Eileen, How nice to get your message. I think using the known facts as the framework is a good way to turn a good story that you don't have all the…moreEileen, How nice to get your message. I think using the known facts as the framework is a good way to turn a good story that you don't have all the needed factual information into a novel. And I really enjoyed the creative part of the process. Congratulations! We’d love your help. Let us know what’s wrong with this preview of River of Shadows by Rebecca Solnit.
" I wish I had had you for history when I was in high school! I love reading historical fiction which helps fill in and intrigue me with what I missed. I wish I had had you for history when I was in high school! I love reading historical fiction which helps fill in and intrigue me with what I missed. I look forward to reading your book. ...more "
We’d love your help. Let us know what’s wrong with this preview of American Princess by Stephanie Marie Thornton. In 1940, the Tuckasegee River in the Appalachian Mountains overflows its banks and forces Wallis Ann Stamper and her family to flee in the middle of the night. Wallis Ann becomes separated from her parents, younger brother and older sister, Laci, a m In 1940, the Tuckasegee River in the Appalachian Mountains overflows its banks and forces Wallis Ann Stamper and her family to flee in the middle of the night. Wallis Ann becomes separated from her parents, younger brother and older sister, Laci, a mute and musically gifted savant. She is ultimately reunited with her family. But her challenges trying to return to their flood damaged home demonstrate her strength, ingenuity and courage. In addition, they also open her eyes to the wider world beyond their land on Stamper’s Creek. With what is left of their possessions, the family piles into the truck beginning a perilous journey to look for food, work and shelter. A friendship that blossoms between Wallis Ann and Clayton, a high diving performer for a traveling show, provides an opportunity for this singing family to perform with the show, stave off their starvation and earn some money. But Clayton’s attention to Laci brings jealousy and anger separating the two sisters and creating a family crisis. This is a story of an innocent young teenage girl with grit, courage, persistence and competence. She finds wisdom and self-understanding through the challenges of poverty, tragedy, and family trauma. Wallis Ann is a strong character possessing qualities that endear her to me…self-reliance, willingness to work hard and a strong love and devotion to her family. At times I felt the descriptions of the trials and travails of this family were too drawn out and I wanted to move on. But, overall, the story is engaging and pulled me in the first pages. We’d love your help. Let us know what’s wrong with this preview of The Road to Bittersweet by Donna Everhart.
" I read a variety of topics but historical fiction is my favorite. I love history which I also read but I like historical fiction because I get a great I read a variety of topics but historical fiction is my favorite. I love history which I also read but I like historical fiction because I get a great story in the historical context. I learn more about history in the process of being entertained by the story. I look forward to reading The Spitfire Girls. ...more "
We’d love your help. Let us know what’s wrong with this preview of The Best of American Heritage by Edwin S. Grosvenor. We’d love your help. Let us know what’s wrong with this preview of Death of an Eye by Dana Stabenow. We’d love your help. Let us know what’s wrong with this preview of Dear George, Dear Mary by Mary Calvi.